A federal agency is overstepping its authority in ordering repairs be made to flood-damaged train tracks to Churchill, Man., argues rail line owner Omnitrax-Hudson Bay Rail. 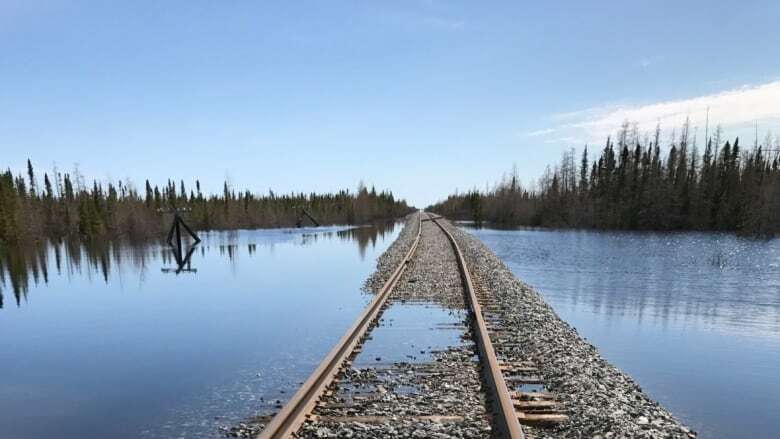 A federal agency is overstepping its authority in ordering repairs be made to flood-damaged train tracks to Churchill, argues rail line owner Omnitrax-Hudson Bay Rail. The Denver-based company filed an appeal with the Federal Court of Canada July 9 in hopes of having a Canadian Transportation Agency order to fix the tracks overturned. CBC News obtained the document from the Federal Court of Appeal. Omnitrax-Hudson Bay Rail has been trying to unload the rail line after it was seriously damaged more than 400 days ago in a 2017 spring flood. Omitrax argues the unforeseeable flood hit as Hudson Bay Rail — which Omnitrax owns — was on the brink of financial insolvency. It has so far "had difficulty in securing funding" for the "enormous" costs associated with repairs, states the appeal. Ever since the flood, the lack of rail shipment access has driven up food and fuel costs and harmed local businesses in the community of about 900, located 1,000 kilometres north of Winnipeg. The company has also been involved in legal disputes with the federal government over who should pay for the rail line repairs since last year. Meanwhile, tension continues to build among locals over the delays. "The bottom line is, this rail line needs to get fixed," said Manitoba NDP Leader Wab Kinew. "Every day that there is a delay, and every day that goes by without getting the rail line fixed means another day of high gas prices and high food costs for people in Churchill, which is to say nothing of the people who are either out of work or laid off because of this whole ongoing battle." In June, based on a complaint launched by the Opposition Manitoba NDP, the Canadian Transportation Agency concluded Omnitrax had abdicated its responsibility to the public in not getting started on repairs by November 2017. The agency, which is an independent tribunal of the federal government, issued an order requiring the company to get started on repairs by July 3 and get them done "as expeditiously as possible." Last Friday, having learned the company had not begun repairs, the CTA went a step further and filed an order with the Federal Court of Canada compelling Omnitrax-Hudson Bay Rail to fix the rail line. In response, the company states in its appeal the order "significantly oversteps the [CTA's] remedial jurisdiction" under the Canada Transportation Act. Hudson Bay Rail claims the CTA neglected to take into account that the company isn't responsible for the extensive damage caused by a "once-in-200-years" flood, nor does it have the estimated $43.5 million needed to make the repairs. "HBR has tried to find financing for the repairs but its efforts have, to date, been fruitless," the appeal reads. The order also didn't clearly explain the nature of the repairs that were supposed to have begun by the CTA's July 3 deadline, the appeal states, and is "incapable of being complied with." Based on its financial situation, Hudson Bay Rail says it isn't obligated to make the repairs under the Canada Transportation Act, which states a company's "financial necessities are of the first order of concern" when determining what duty it has to deliver service. The company declined to provide a statement regarding its Federal Court appeal of the CTA order. 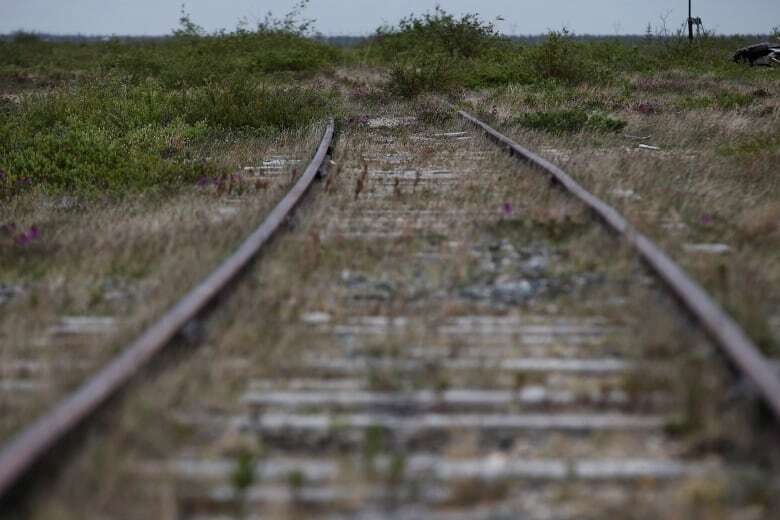 Hudson Bay Rail officials have maintained the lifeline to Churchill should be treated as a public utility because it is no longer commercially viable. It has nonetheless been in purchase talks with a consortium representing northern communities and First Nations — Missinippi Rail Partners — along with Fairfax Financial Holdings and AGT Food and Ingredients. The sale of the rail line has turned into a saga of its own, with negotiations falling apart and coming back together at various times, coming undone once again last week. As of Monday, Hudson Bay Rail president Sergio Sabatini said negotiations are back on and include talks about the repair process. Meanwhile, Kinew says he doesn't believe Omnitrax intends to fix the rail line. "Looks like they're trying to come up with all kinds of excuses — they're broke, they can't get a deal to sell the thing — but when that order to fix the rail line came down, it didn't say, 'Fix the rail line if you can find a suitable buyer.' It didn't say, 'Fix the rail line if you can make money on it.' It said, 'Fix the rail line or else.'" He added the NDP is confident the order should be upheld and his party is prepared to go to court. 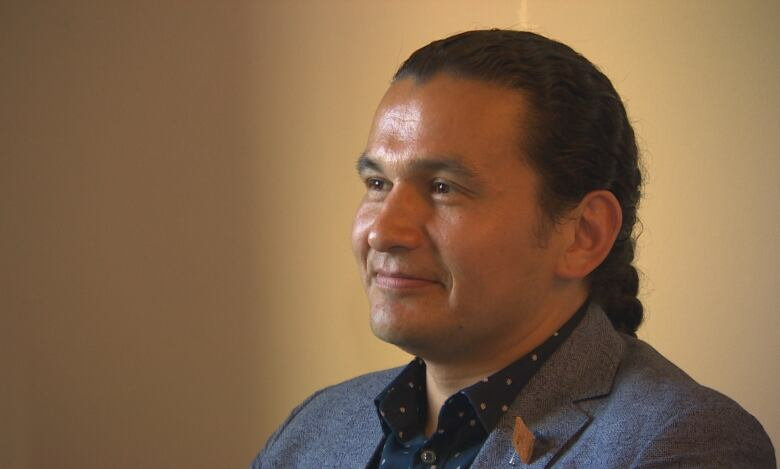 "Since the carrot of getting a deal to sell the rail line seems to be off the table for now, then we think it's important to pursue the stick of going to court," Kinew said. "We're prepared to stand up for people in Manitoba." Kinew also said the Progressive Conservative provincial government should have pressured the company to get the rail line functioning again. He said if Premier Brian Pallister and his government want to get on board with the NDP fight, they're more than welcome. The PCs have in the past claimed rail lines and ports fall under federal jurisdiction.